– We retooled all mammography apparatus in our mobile vehicles! In January we finished the process of modernization of our equipment. 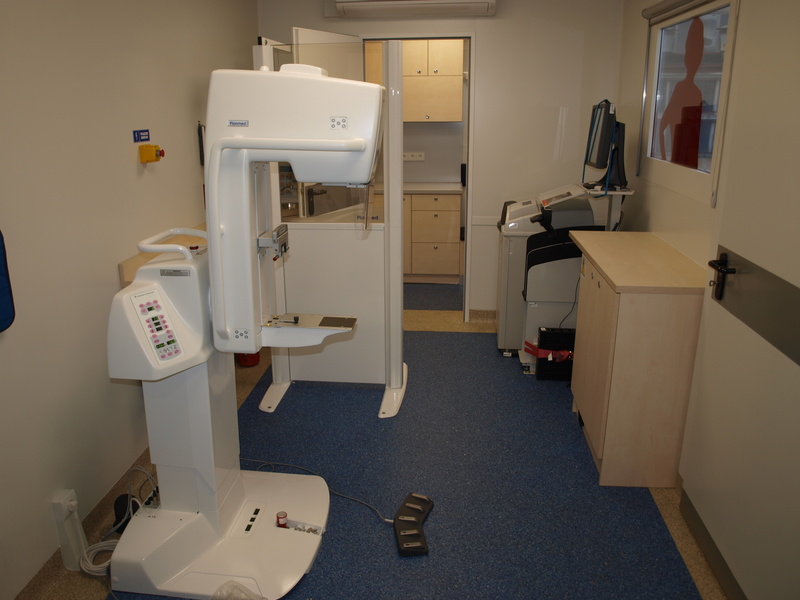 All mobile mammography vehicles are equipped in brand new apparatus. The modality is adjusted to make tests in digital technique. Apparatus were produced in 2015 and are Planmed Sophie Classic models. ‘The equipment itself, without the proper medical use, is not the guarantee of the high quality test. That’s why our electroradiology technicians took part in annual workshop meeting, which enabled them to perfect the abilities at the range of making mammography tests’. Thanks to the Quality Module we can systematically control the technique of X-ray photos made by each electro radiology technician. It is a sample of random X-rays, made in particular day by each technician. The Program enables to assess the quality of parameters and all the anatomic elements of the breast, which should be visible in the X-ray. We hope that the new equipment will encourage all the ladies, who haven’t made the test yet to register for the screening test. We would like to remind, that apparatus installed in mobile vehicles, as well as the ones in stationary offices underlie the same regular technique controls, so they are completely safe and complying all with the standards. The mammography test made in mobile vehicle has no difference in comparison to the one taken in the stationary office.